STORM OF THE MILLENNIUM--NOAA's GOES-13 satellite captured this visible image of Hurricane Sandy battering the U.S. East coast on Monday, Oct. 29 at 9:10 a.m. EDT. 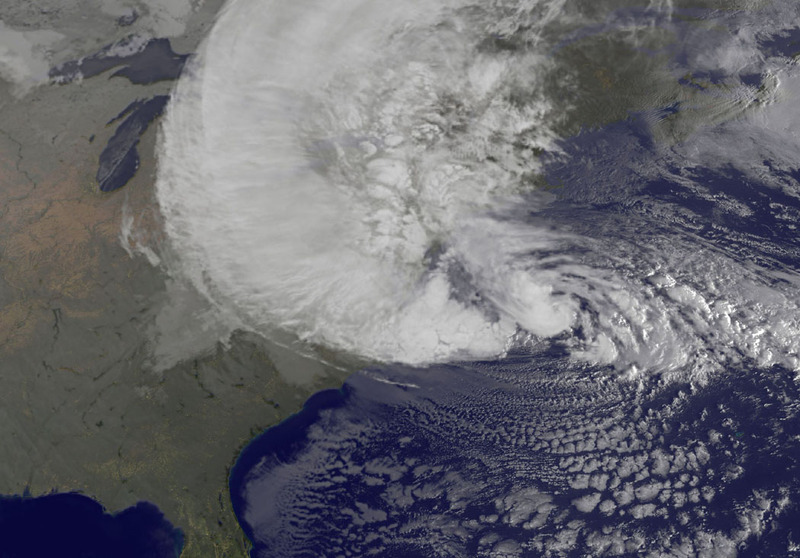 Sandy's center was about 310 miles south-southeast of New York City. Tropical Storm force winds are about 1,000 miles in diameter.